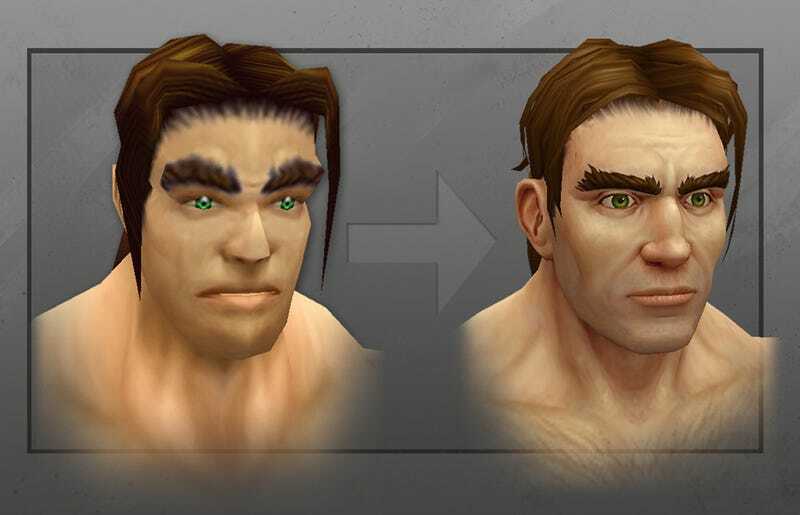 Blizzard is continuing the process of sprucing up the visuals of the ageing World of Warcraft, and the next race to have their facelift shown off are the humans. Who now look like Homo sapiens, rather than Homo neanderthalensis. As you'll see, the basic shape and characteristics are almost the same. The new human is just more shaded, more curved and, dare I say it, a little more handsome (provided he does something with those eyebrows).